The Green Majority is a weekly environmental news program produced live at CIUT in Toronto, Canada and broadcast on campus and community stations across the country. The show, Canada’s first and only environmental news-hour, is produced by a dedicated team of volunteers. Tune into the broadcast or download the podcast for environmental headlines, guest features and analysis of Canada’s most important ecological events. The Green Majority operates with a BY-NC creative commons license. 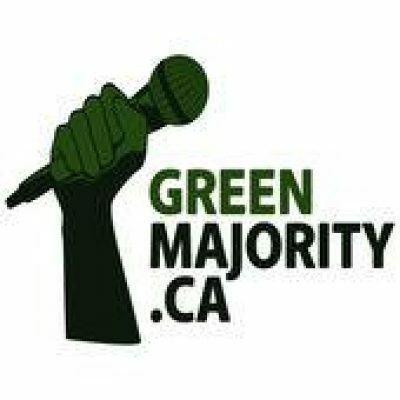 The Green Majority is a weekly environmental news program produced live at CIUT in Toronto, Canada and broadcast on campus and community stations across the country. The show, Canada’s first and only environmental news-hour, is produced by a dedicated team of volunteers. Tune into the broadcast or download the podcast for environmental headlines, guest features and analysis of Canada’s most important ecological events. The Green Majority operates with a BY-NC creative commons license. April 2, 2019 – Why We Need Systemic Change! March 12, 2019 – Is The Green Revolution Finally Here?